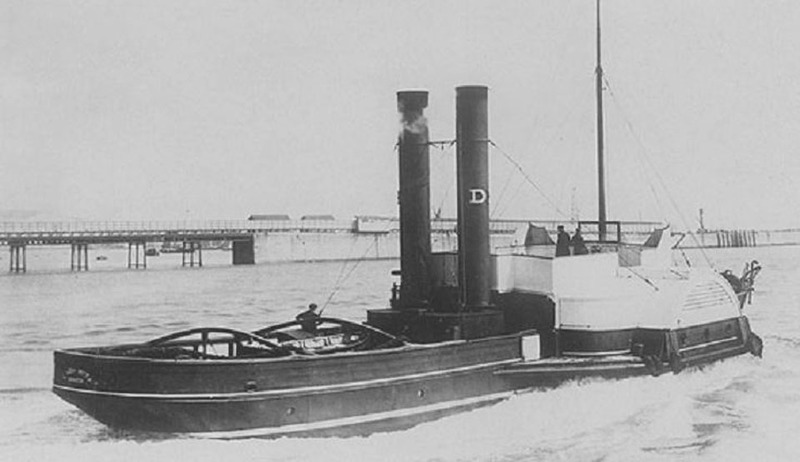 Iron paddle-steam tug, built in 1882 by Westwood Baillie, London (Yard No 291), for Dover Harbour Board. October 1882: Completed for Dover Harbour Board. 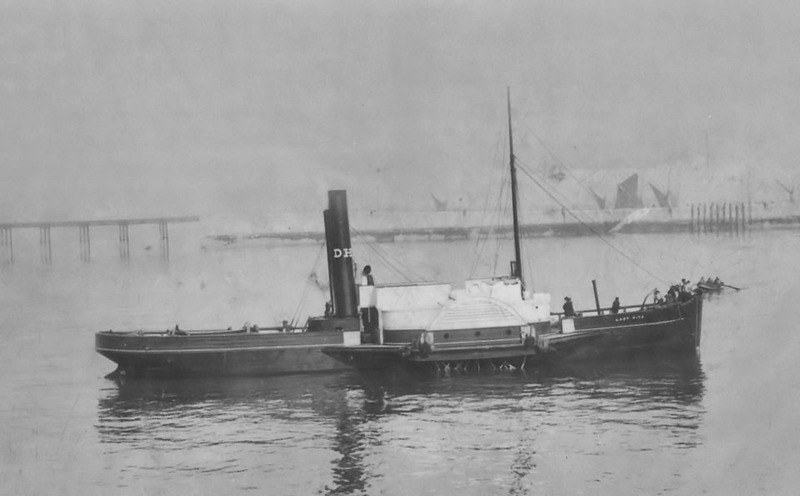 “Whilst employed as a tender she carried many monarchs including the Kaiser who disembarked from the North German Lloyd liner KONIG ALBERT on 13th March 1904″. 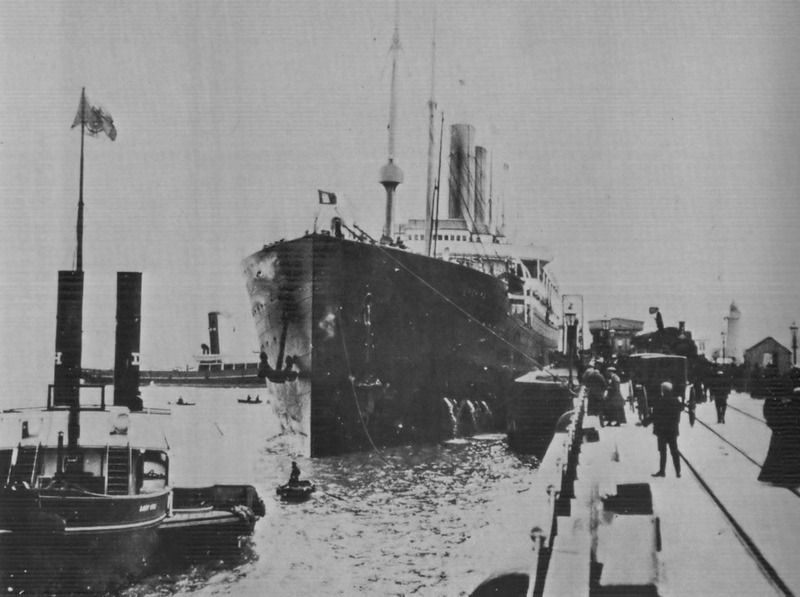 July 13th 1906: Together with LADY CURZON assisted the fastest liner of her time, DEUTSCHLAND, to leave the port. 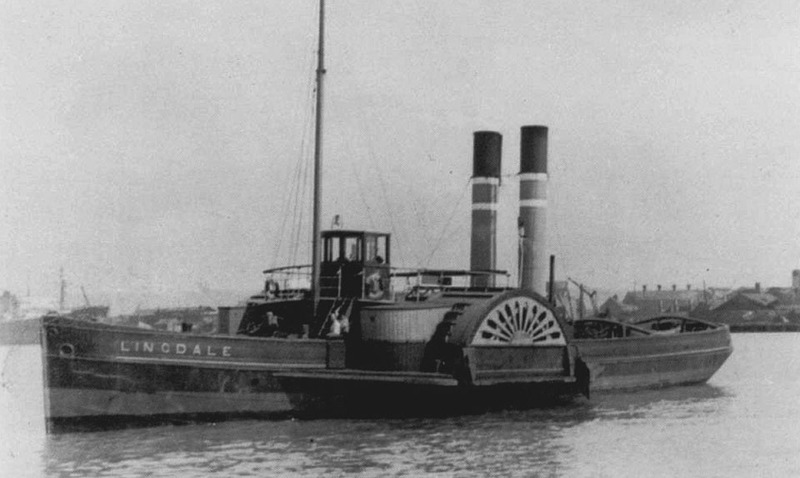 “As the manoeuvre progressed the vessel suddenly shot stern first, breaking one of the tug’s two ropes and making straight for the southern breakwater. 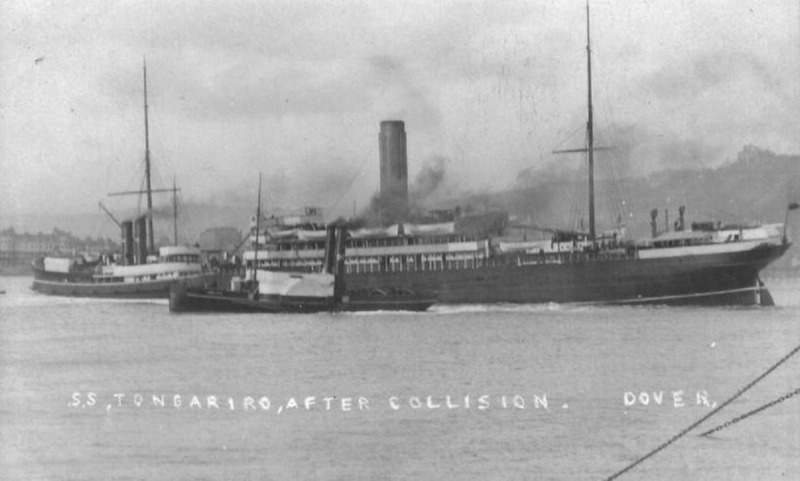 Instead of colliding, however, the DEUTSCHLAND then changed direction once more for some explicable reason heading bow first in the opposite direction and on a direct course for the end of the Prince of Wales Pier….. 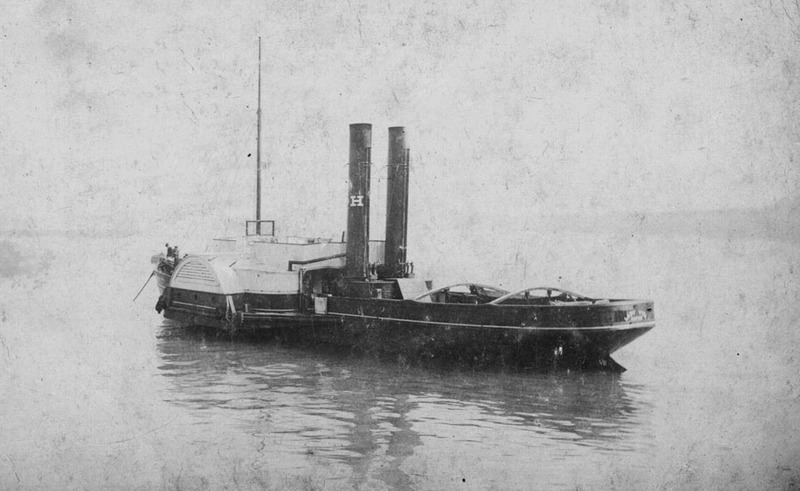 In desperation, the starboard anchor was let go only 20 yards from the pier, but the was hardly sufficient to check the liner’s momentum and shortly after she stuck the jetty a glancing blow, doubling her stem over at right angles and damaging the plating on either side of her bow. The ship rebounded, struck again, though only slightly this time, then managed to back out of the harbour and into the Channel without further damage.”. 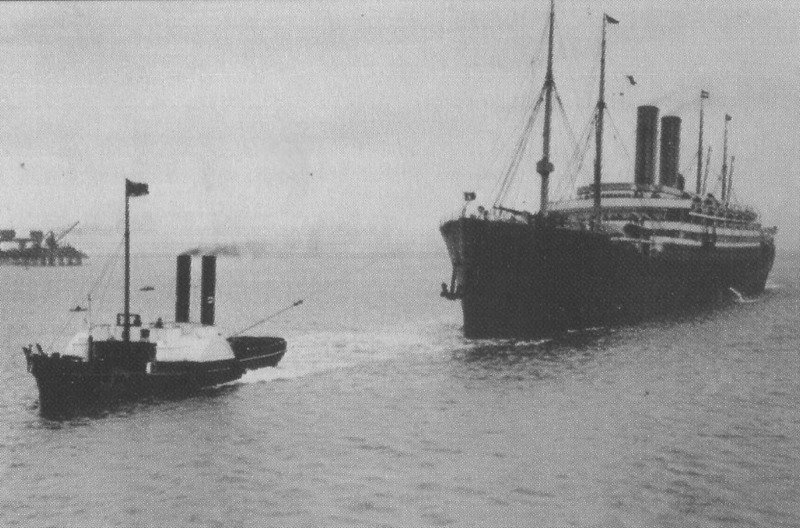 Together with the Admiralty, who deemed the harbour unsafe for foreign liners, Hamburg – Amerika line also decided not use Dover as a port of call. 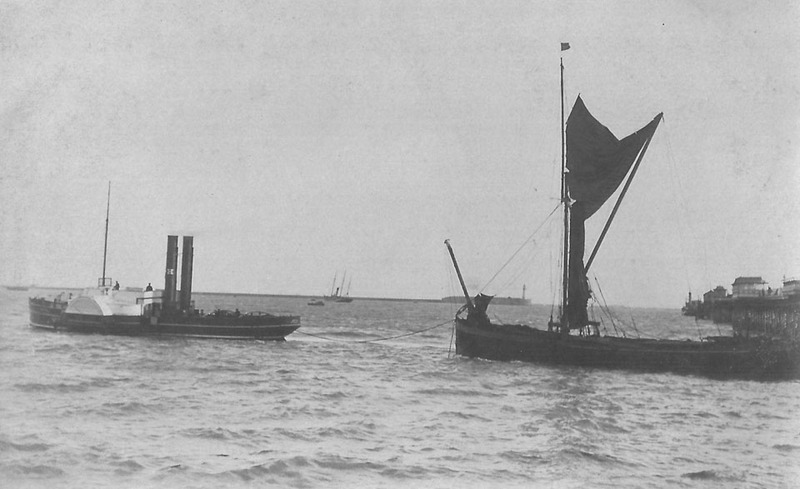 November 2nd 1914: Sold for £8,400 to The Tees Tug Co Ltd (Manager; WH Crosthwaite). 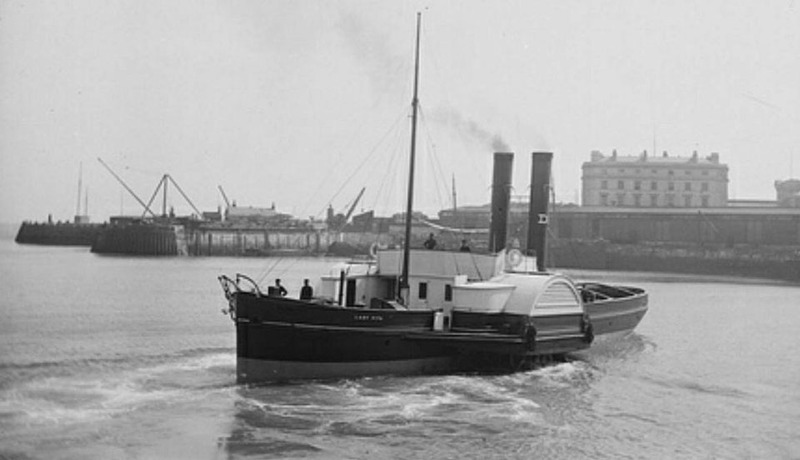 1914: Chartered to the Admiralty. May 5th 1954: Broken up by J J King & Co Ltd, Gateshead.